The Cathedral Knave is a youngish man who is unusually fanatical about cathedrals. He enjoys them for the stories they contain and for the endeavour and ambition that they embody. 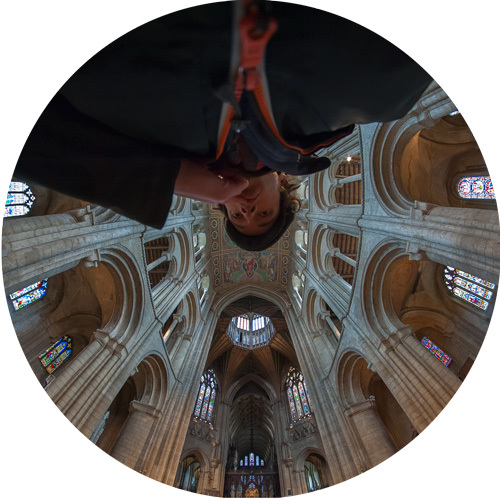 The Knave has recently challenged himself to visit and blog upon all of England’s Anglican cathedrals. There is no time frame but as many are achievable fairly locally (he lives in Cambridge) the project could get off the ground quite quickly. Followers of the Cathedral Knave should expect his blog posts to take a rather light-hearted approach to history but remain faithful to its essence (there’s got to be some space for artistic license…). On occasion, light-heartedness may give way to comparatively earnest reflections or opinions. He hopes you’re OK with that! Read The Knave’s latest post!